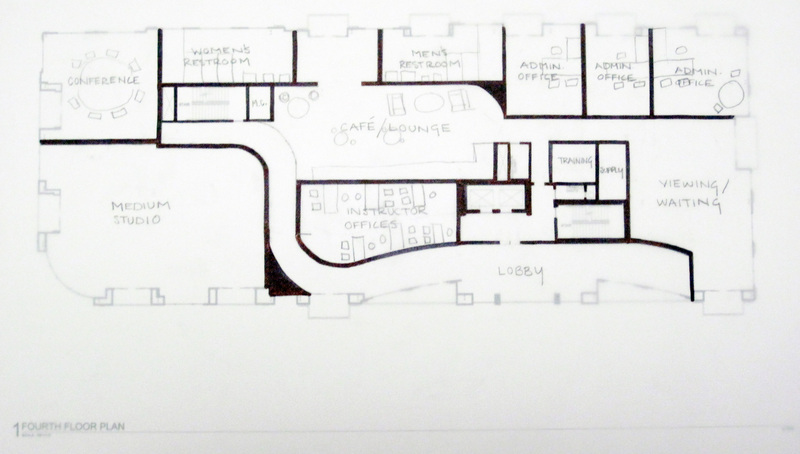 Our final plan was due on Wednesday, and it took 5 block plans (15 floor plan drawings) to finalize a floor plan that I am not only passionate about and LOVE, but one that will function the absolute best for the users. The final plan takes multiple factors into consideration in its design. 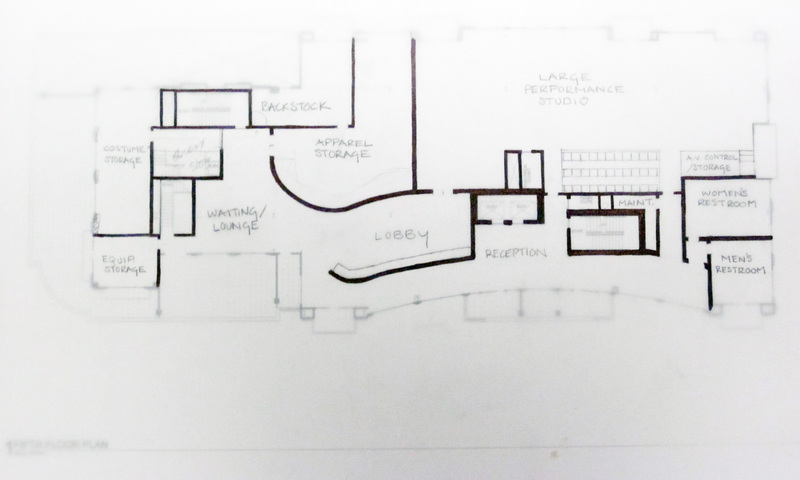 After the parti charette, the concept was implemented into multiple block floor plans to configure the best layout and space planning of the spaces. Once the basic layout of spaces was determined, I was able to embellish the wall placement/shape/form, ultimately enhancing the user’s experience. Challenges were overcome with careful thought and multiple iterations until a unique, exciting, & functional floor plan was developed! 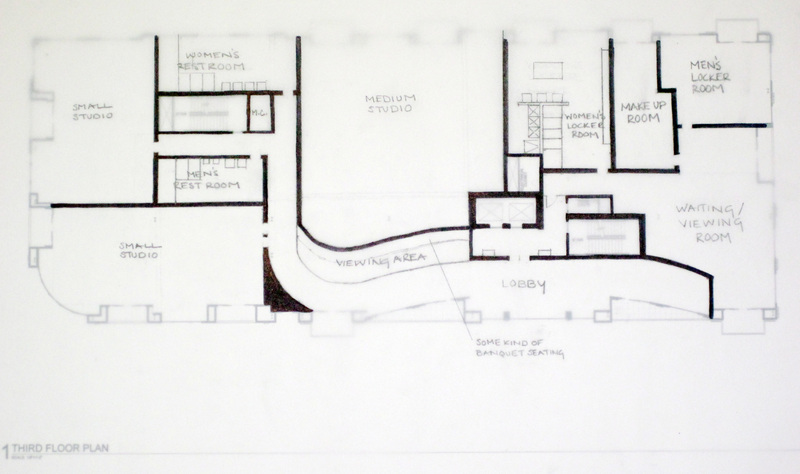 I apologize for the quality of the pictures, they are photos of the drafted floor plans. I will be scanning the originals soon and posting better images. I like it!! I like your curved walls make it interesting, but still functional. The only thing I see that I would change (and thats just me) is on your 4th floor move the conference wall down a little to match up with the other wall! this looks great though! you’re way farther than me! I like your use of the curved walls. It brings an element of visual interest that flows nicely with the existing structure, and since you’ve used them in main traffic flow areas it is a great way-finding feature.